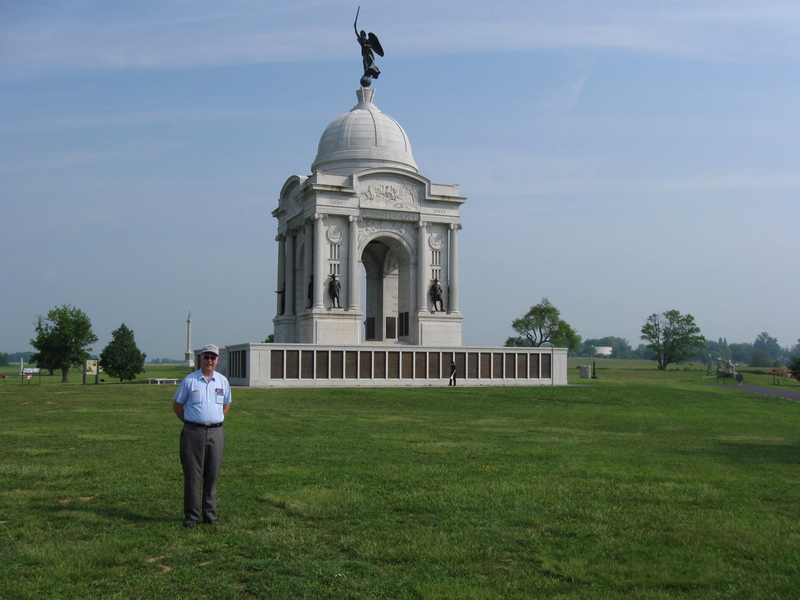 Gettysburg Licensed Battlefield Guide Ed Guy has now moved to Cemetery Ridge’s Pennsylvania State Monument to show us statues created by three artists. This view was taken facing north at approximately 9:30 AM on Monday, May 25, 2009. 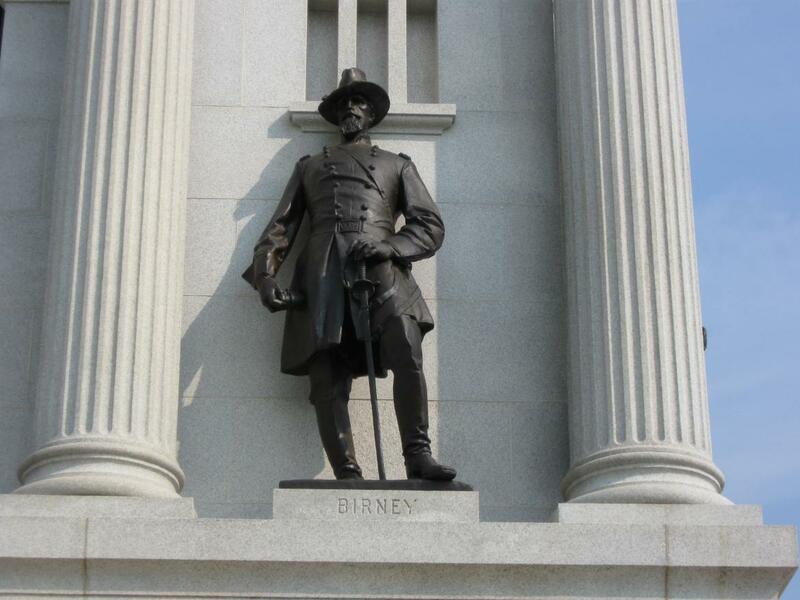 We continue our series on artwork on some of the monuments at Gettysburg. 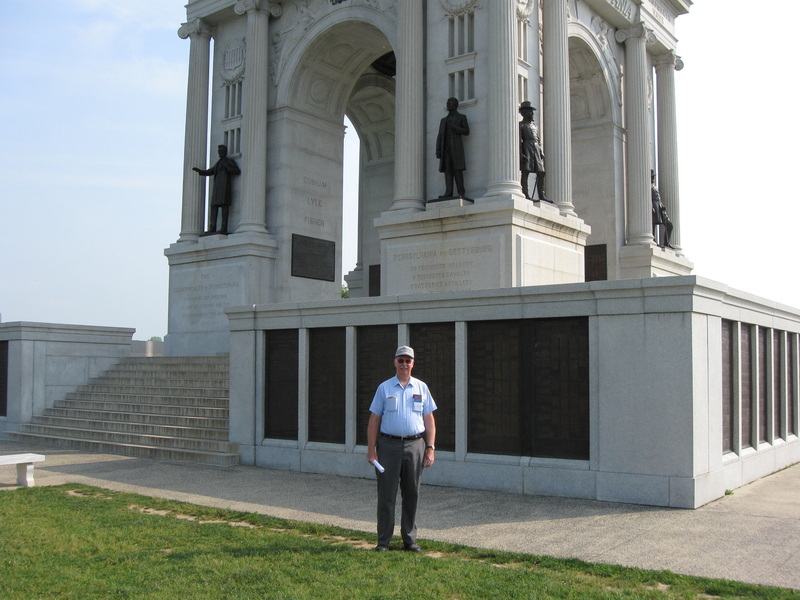 In our first post, Gettysburg Licensed Battlefield Guide Ed Guy showed us items to note on the Virginia and Louisiana state monuments. In our second post he showed us the North Carolina State Monument, the monument to the 145th Pennsylvania, and the Irish Brigade Monument. 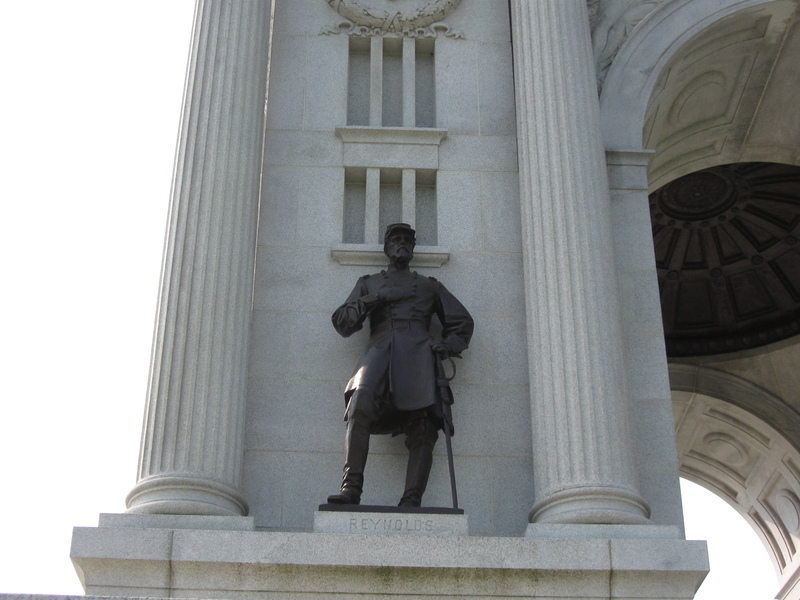 In today’s post he shows us some statues on the Pennsylvania State Memorial. 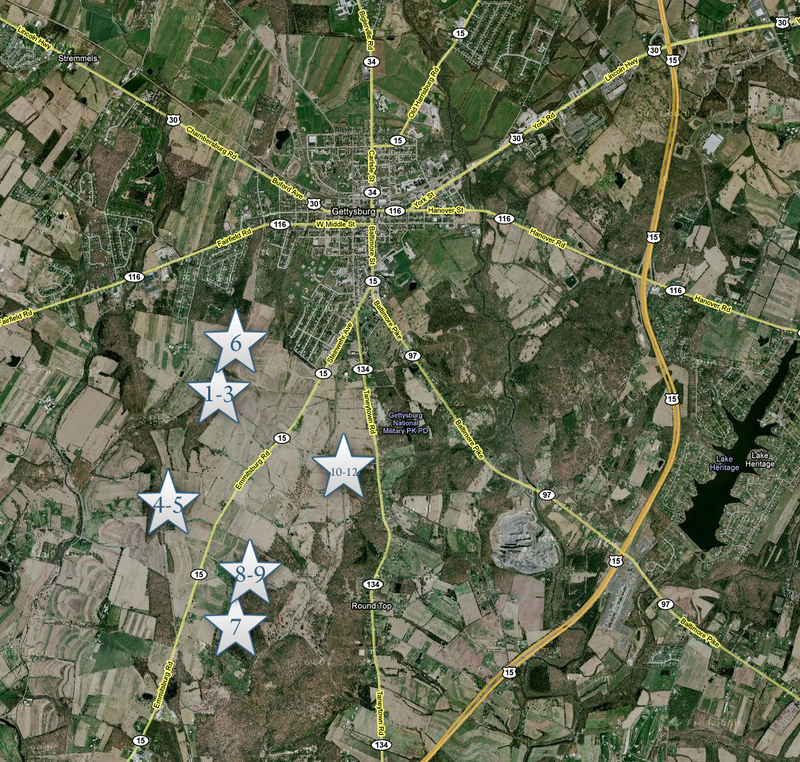 This map shows the locations of the videos in this series. Videos #1-3 were taken at the Virginis State Monument. Videos #4-5 were taken at the Louisiana State Monument. 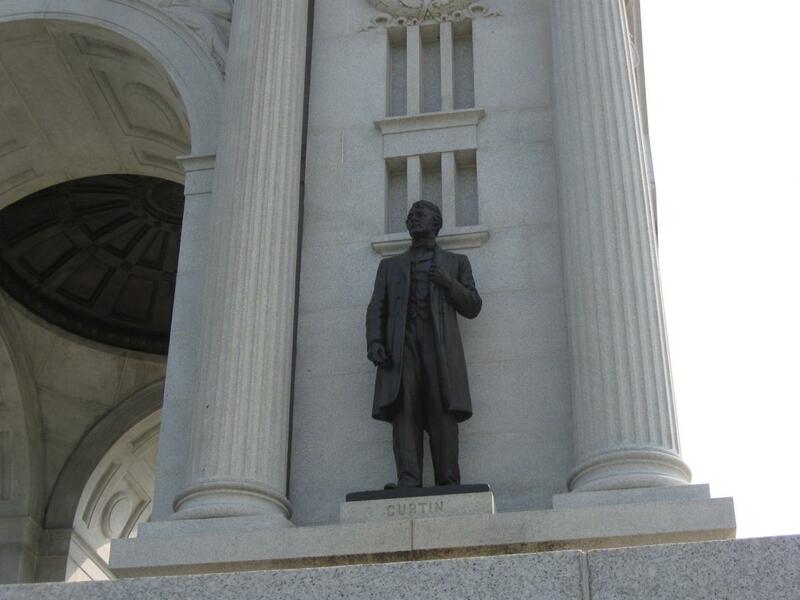 Video #6 was taken at the North Carolina State Monument. Video #7 was taken at the monument to the 145th Pennsylvania Infantry Regiment. Videos #8 and #9 were taken at the Irish Brigade Monument. 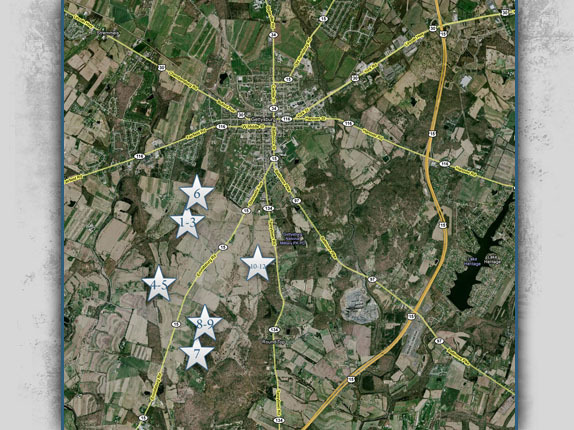 Videos #s 10-12 were taken at the Pennsylvania State Monument. This map was created facing north at approximately 8:30 PM on Tuesday, June 9, 2009. 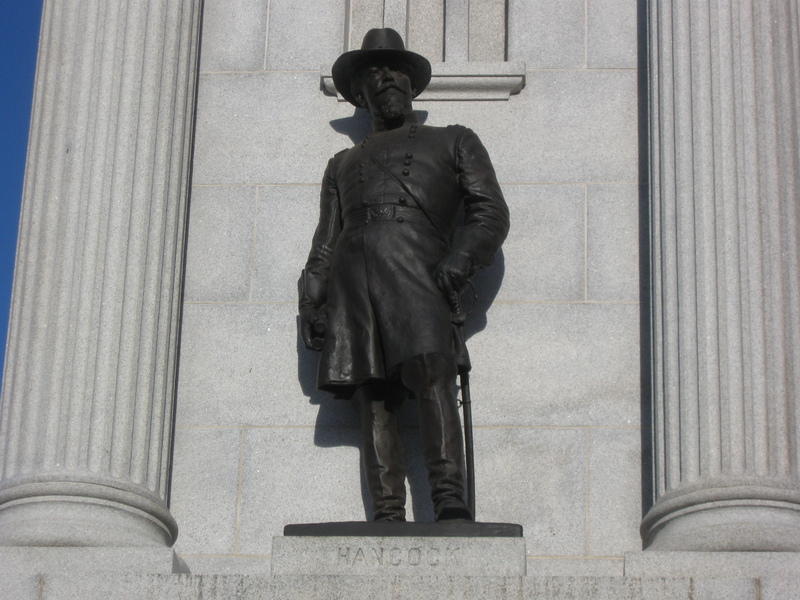 In Video #10 (Videos #s 1-9 were in our previous artwork posts) Gettysburg Licensed Battlefield Guide Ed Guy tells us some facts about Cyrus Dallin, the artist who did the Winfield Scott Hancock statue on the southwest side of the monument. This view was taken facing north at approximately 9:30 AM on Monday, May 25, 2009. Cyrus Dallin’s statue of Winfield Scott Hancock on the Pennsylvania Monument. This view was taken facing north at approximately 9:45 AM on Thursday, December 25, 2008. Ed Guy has now moved to the southeast section of the Pennsylvania monument. He will discuss artist Lee O. Lawrie who did the statue above Ed of David Birney. This photograph was taken facing northwest at approximately 9:30 AM on Monday, May 25, 2009. 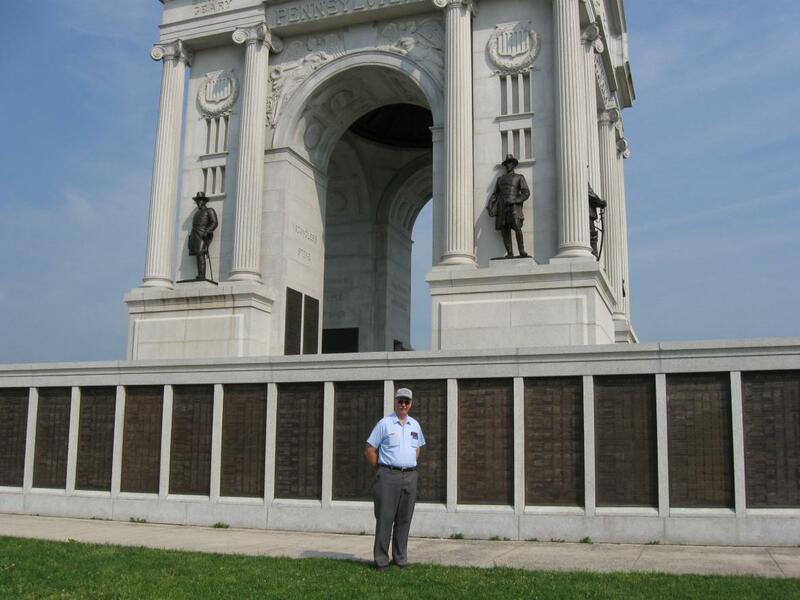 In Video #11 Licensed Battlefield Guide Ed Guy tells us about sculptor Lee O. Lawrie. 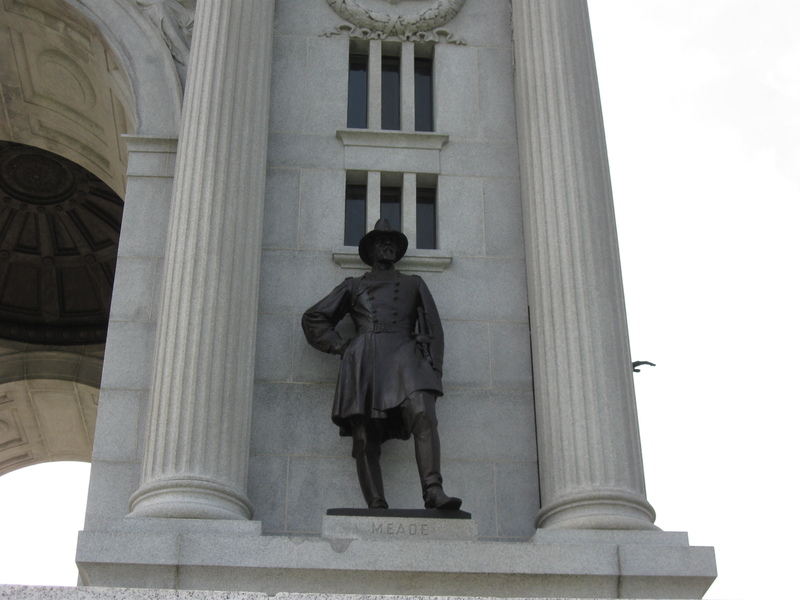 When Lawrie did the statues on the Pennsylvania Monument, he was a product of the “beaux-arts” school. We will see how his style changes later when we go to the Peace Light. This view was taken facing north at approximately 9:30 AM on Monday, May 25, 2009. Lee O. Lawrie’s statues on the Pennsylvania Monument include David Bell Birney… This view was taken facing north at approximately 9:30 AM on Monday, May 25, 2009. John F. Reynolds… This photograph was taken facing south at approximately 9:30 AM on Monday, May 25, 2009. … and George G. Meade. This photograph was taken facing south at approximately 9:30 AM on Monday, May 25, 2009. Ed has now moved to the west side of the Pennsylvania monument, near the southwest corner of the monument. Above Ed is a statue of Pennsylvania Governor Andrew Curtin, sculpted by Clarke Noble. This photograph was taken facing northeast at approximately 9:30 AM on Monday, May 25, 2009. In Video #12 Ed Guy explains that the sculptor of the Andrew Curtin statue, Clarke Noble, was not very noble. This view was taken facing northeast at approximately 9:30 AM on Monday, May 25, 2009. A closer view of Clark Noble’s statue of Andrew Curtin. This photograph was taken facing northeast at approximately 9:30 AM on Monday, May 25, 2009.